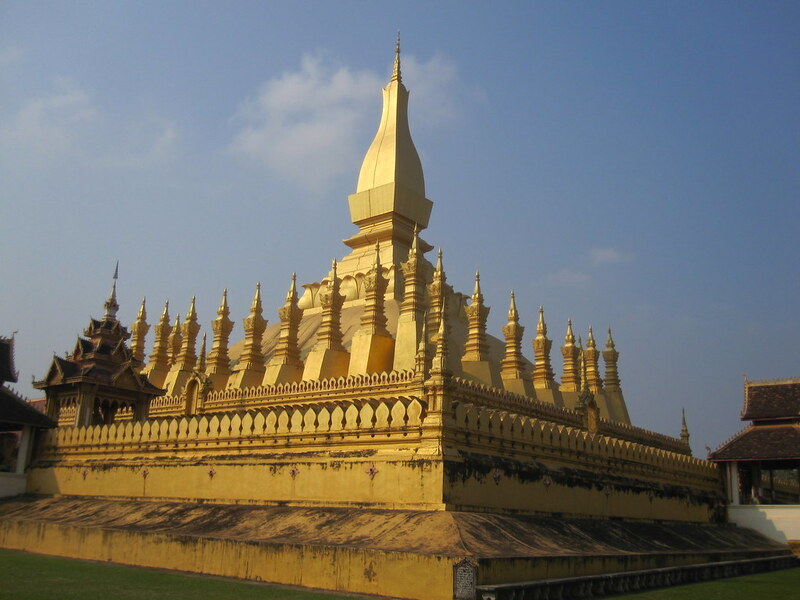 It’s the Golden Stupa, the #1 Tourist Attraction in Vientiane, Laos. I went there. I saw it. I’d tell someone to go there and see it. But, I don’t need to. The guide books will tell you how to get there. 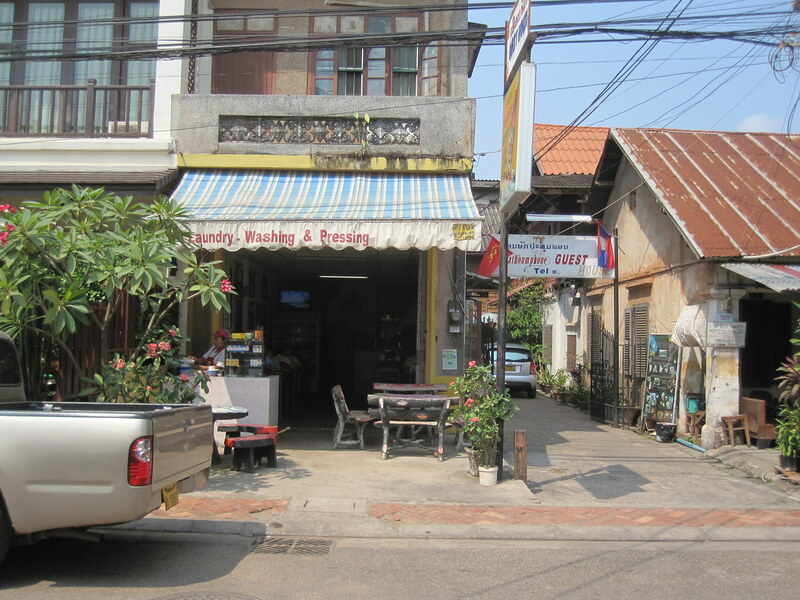 I rented a bicycle and saw all of Vientiane that I needed to see in a little more than a day and a half. This is just one of the sights. Personally, I think the town gets a bad rap. It’s not the kind of place you’d want to move to, but it’s worth going to see. 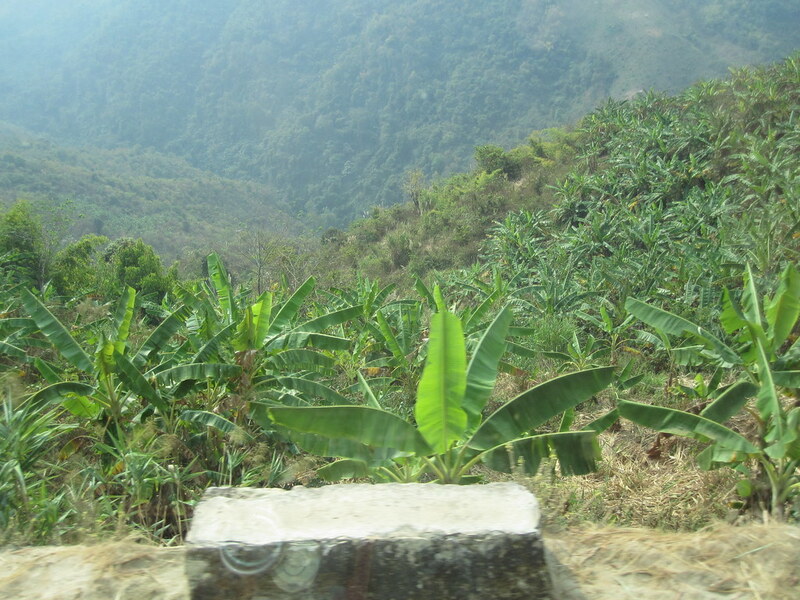 This entry was posted in Travel and tagged Laos, Tour on March 1, 2011 by Steve. I have no idea who the person was who was supposed to be represented by the statue. I would have guessed John Wayne in one of his cowboy roles. I’m sure it wasn’t, but that’s the impression I got. I think that, at this point in my journey, I’m missing America so much I’m having delusions. 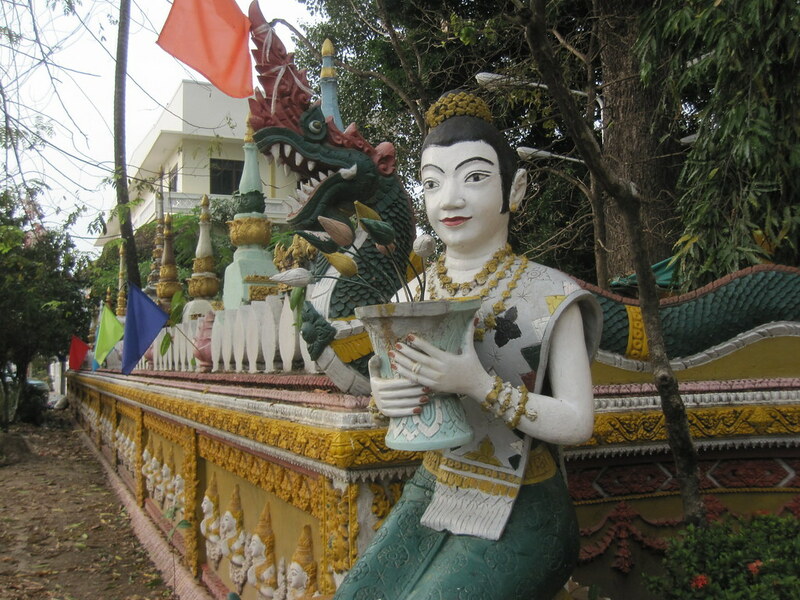 This entry was posted in Travel and tagged Laos on March 1, 2011 by Steve. Admit it. You’d like to have a fence like this one, wouldn’t you? You’re just not willing to fork out the millions of Laotian kip that it would take to have the fence built. Where I live, I’m not sure it would pass code inspections. I have a feeling one of my neighbors would definitely have something to say about it at the next city council meeting. I’m not sure why. If you ask me, it’s a heck-of-a-fence. I may catch some flack about this, but the guy looks a lot like Elvis to me. Maybe it’s the sideburns. Maybe it’s the cool outfit. Maybe it’s the hairstyle. Anyway, this guy’s a lot older than Elvis every thought of being. It’s the Arch in Vientiane, Laos. You know that Laos was at one time a French Protectorate, I’m sure. The French left their mark on the country and a lot of the rest of Indochina as well. 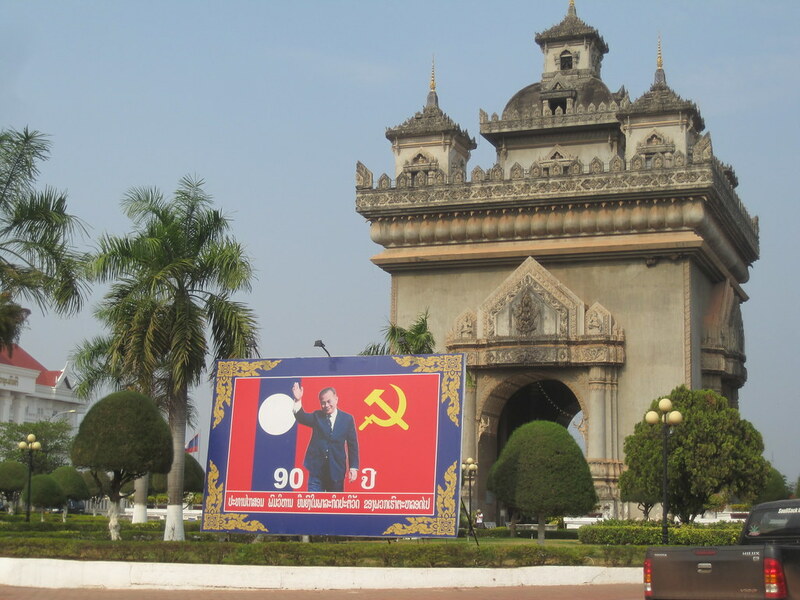 This is Patuxai, Vientiane’s Victory Arch, built between 1957 and 1968. Interestingly, I’ve read where it is dedicated to those who fought the French in the struggle for the independence of Laos from France. I found that strange as the arch look a lot like one I’ve seen before in Paris. That’s Paris, as in France. Also, don’t let the hammer and sickle fool you. American dollars are accepted everywhere, just like the rest of the communist countries. 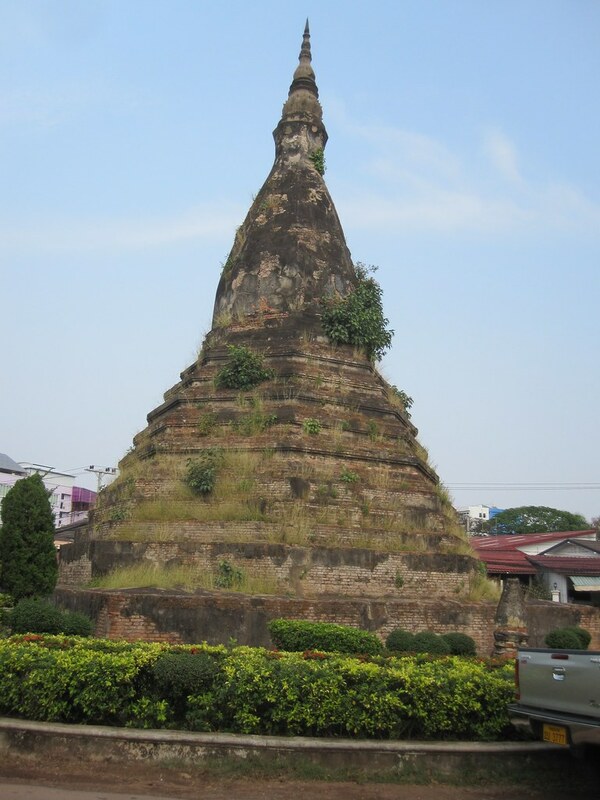 I believe this stupa dates to the 10th or 11th century. That’s old. I believe this stupa is called the Black Stupa. They say that, at one time, it was covered in gold. 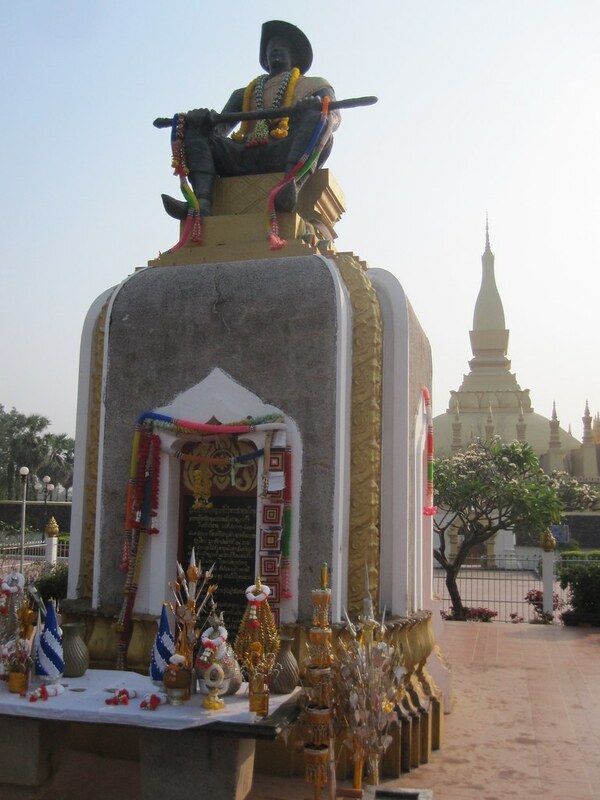 The gold was hauled off by people who invaded Vientiane, Laos, where the stupa is located. It just goes to show you that, if you have a Golden Stupa, don’t let the word get out. 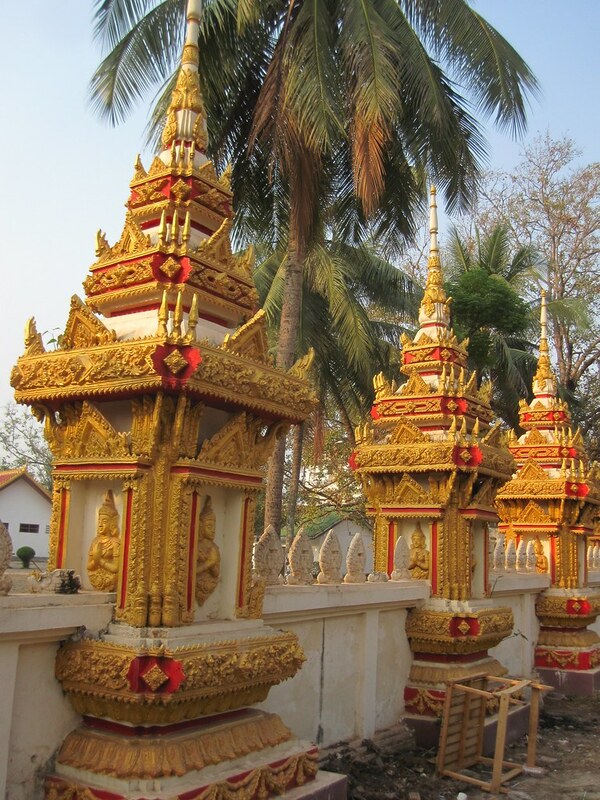 In Laos, Luang Prabang is the city that gets played up for having great temples. So great in fact that the city is on the UNESCO List of World Heritage Sites. That’s a pretty impressive list. 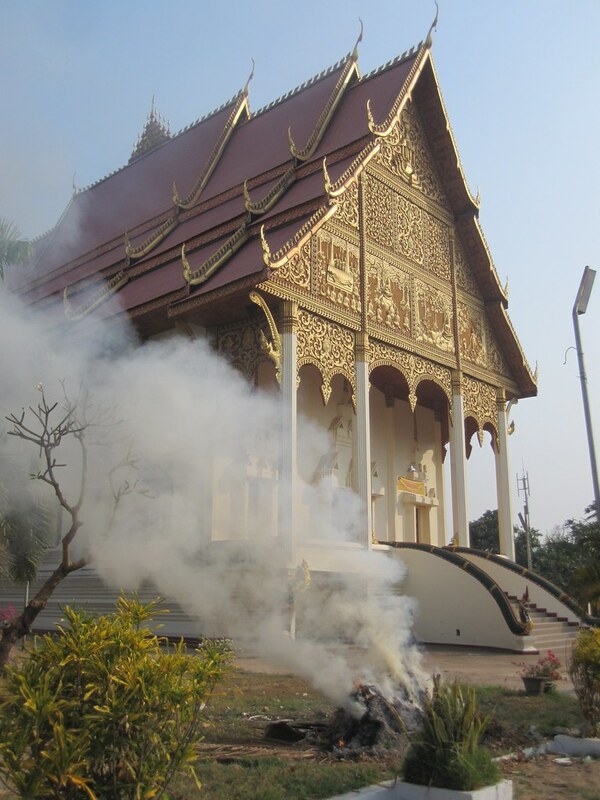 My own opinion is that I like the temples in Vientiane, the capital of Laos, better than I liked the temples in Luang Prabang. My advise? Go see them both and make up your own mind. 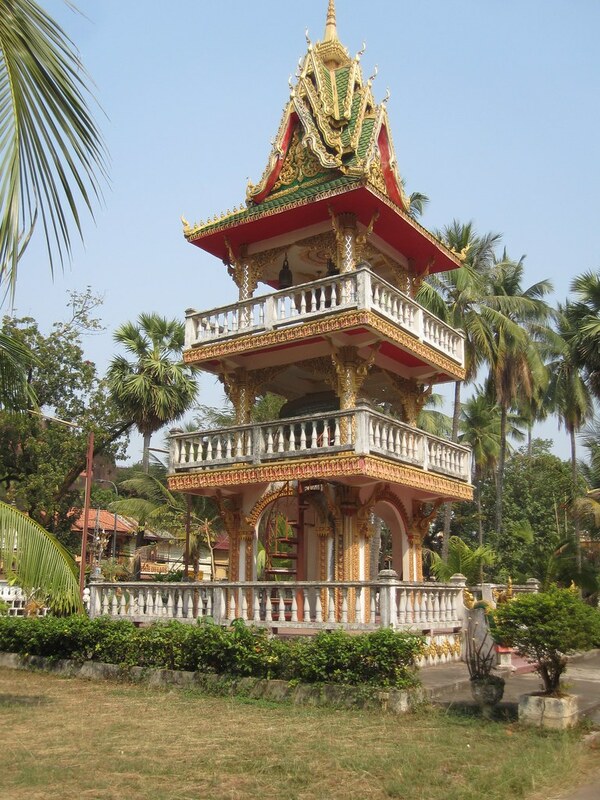 This entry was posted in Travel and tagged Laos, Temple on March 1, 2011 by Steve.